Thank you for your career interest in King & Bay. We are a growing, thriving custom clothier operating in Toronto’s banking and financial centre (and the unofficial suit-wearing capital of Canada). How did you hear about King & Bay Custom Clothing? Please tell us a bit about yourself and why you're interested in a career with King & Bay. We are always on the lookout for talented, committed team members. 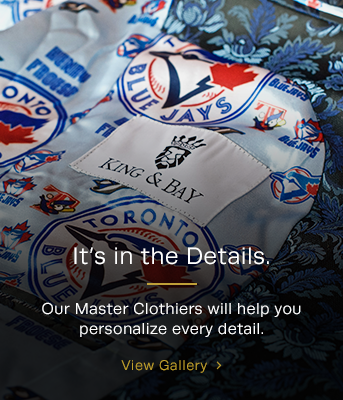 If you have experience as a master clothier or clothing consultant and are interested in learning more about a career with King & Bay, we urge you to reach out to us. Specific, immediate opportunities (when available) will be listed directly below. Please use the form to the left to contact us.